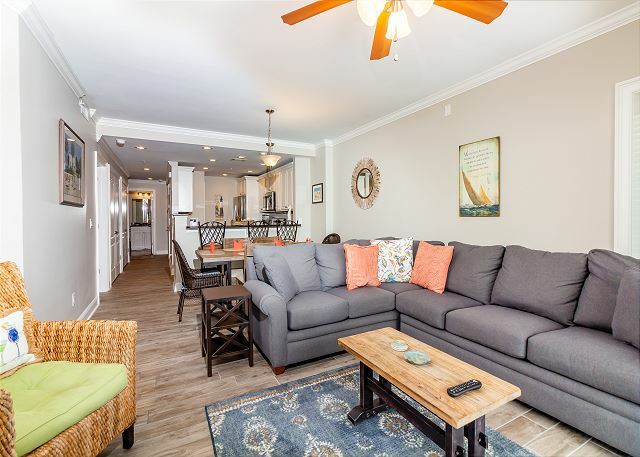 When Spanish explorers landed on Tybee Island, they may have felt as you will feel when you discover this lovely two-bedroom, two-bath, oceanfront condo. Illuminated in the rich blues of the ocean and the soft tans of the sand just outside your window, it seems as if the beach is flowing right through your windows. 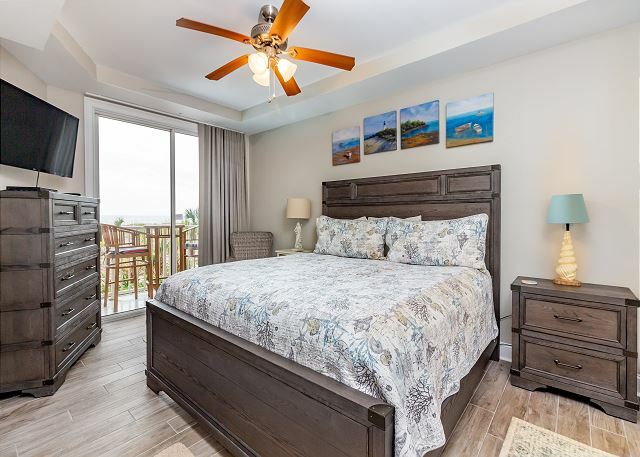 The master bedroom is resplendent with a comfortable king-sized bed, ensuite master bathroom, and private balcony on the ocean, while the second bedroom boasts a queen-sized bed and is just steps away from the second full bathroom. The pristine kitchen is cabineted in white with matching appliances, and opens into the airy living room with its own balcony from which you can survey the sea and plan your next adventure! 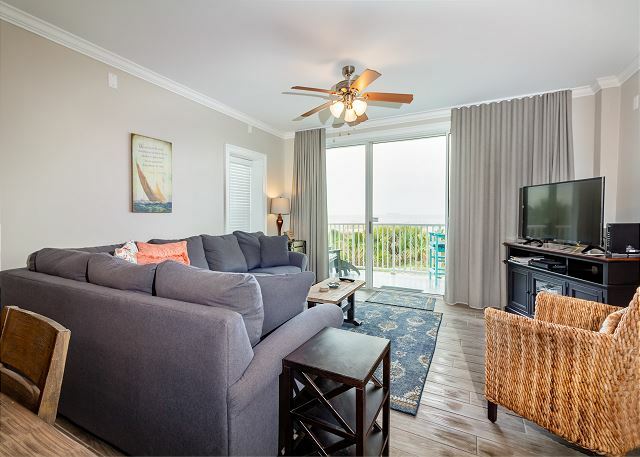 After two years of being displaced because of hurricanes, finally we were able to book an oceanfront condo. Jennifer in the office was most helpful. 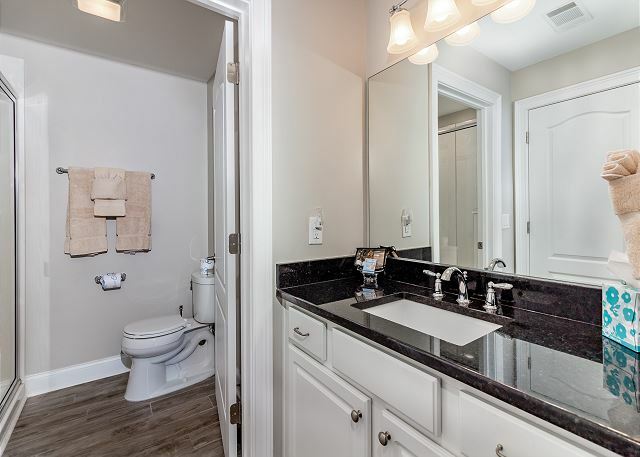 Beautiful property, great rental unit with great features. Door locking system is scary, as Maintenance has a universal code and entered the unit on my twice without notice or reason. Each time they were "looking" for Jason and it was 2 different people. Third time it was raining and I came in to the front door being paineed with noone with the paint, drop cloth or even a sign. Owner needs to be aware of how their guests are treated by the resort. Also you have to take out your own trash and place in tall nasty dumpsters and get filthy in the process, not resort style at all. Also, gate to enter pool was broken and the gate to the beach was tempermental. Office staff seemed to taking directions from 2 different people and gave different answers depending on the day. We loved the condo. We have stayed in that particular one before. However, there was no shampoo in one bathroom, the garbage disposal was not working, and the coffee pot did not work well (grounds in cup after brewing). There was not enough trash bags and the office worker said she would send some. They never arrived. The pictures on the website need to be updated. It was very disappointing. We had many issues with the unit 411. Will be back next year for sure, loved it! Outstanding one of the best vacations I have ever had. Will definitely be going back next year. 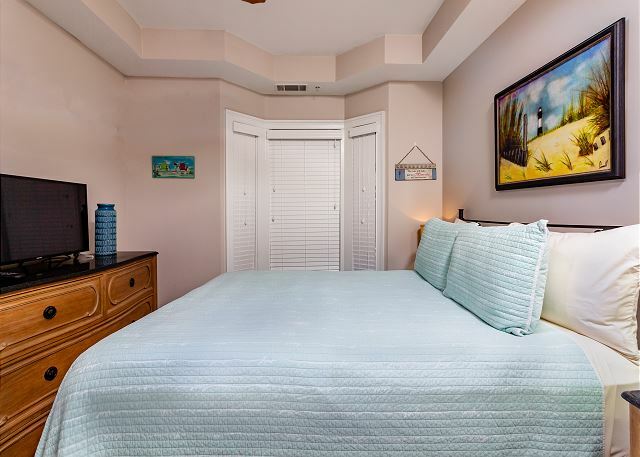 This unit was in a beautiful location and the property had all we wanted...beach access, showers for rinsing, pools! However the unit wasn't as friendly to the traveler as we would have liked. We arrived and there were no coffee filters. We'd already done our grocery shopping and couldn't have known what to get ahead of time. Then had to go out again and spend time at the grocery store after check in when we'd have preferred to be at the beach. Since there were also no instructions for coffee maker/TV/etc. spent time figuring all of these out instead of relaxing. Also the property provides no beach towels and because we flew in we had to purchase those as well along with a boogie board which cannot be rented on the island. Coming from a beach area in CA I've been to places where the basics like that are just there so you can just drop in and enjoy. Super late check in time (4 pm) and relatively early check out (10 am) clinched the pinch vs. fun factor for us. For the amount of money asked these small steps for guests would have been appreciated and would have resulted in a much more positive review. Great view. Very clean. 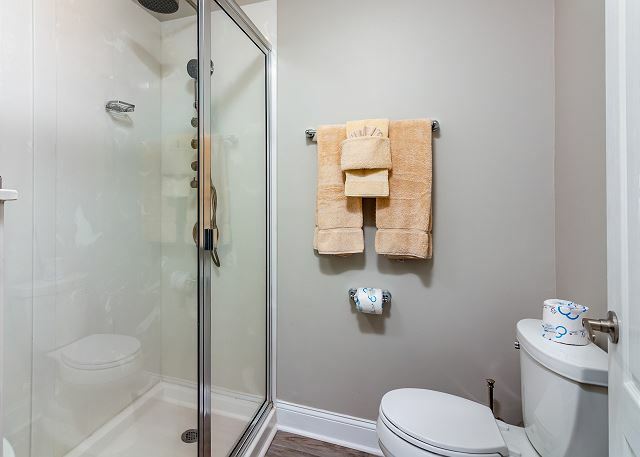 All the conveniences of home. Beautiful place and very clean. Also very comfortable. Overall the experience was great. Fantastic location and views. 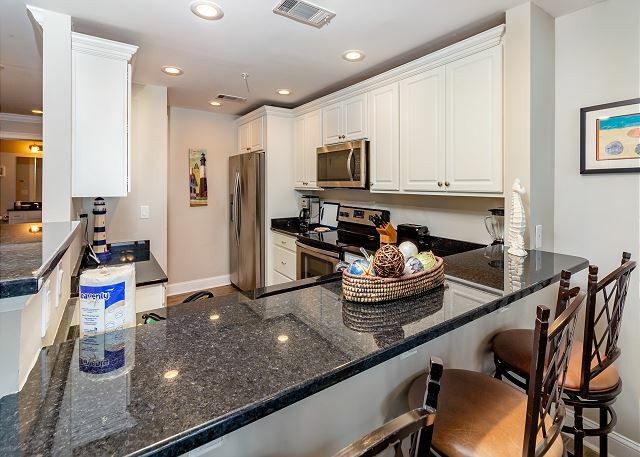 The kitchen needs a little updating as many of the pots and pans are worn, the side of the refrigerator is rusting. 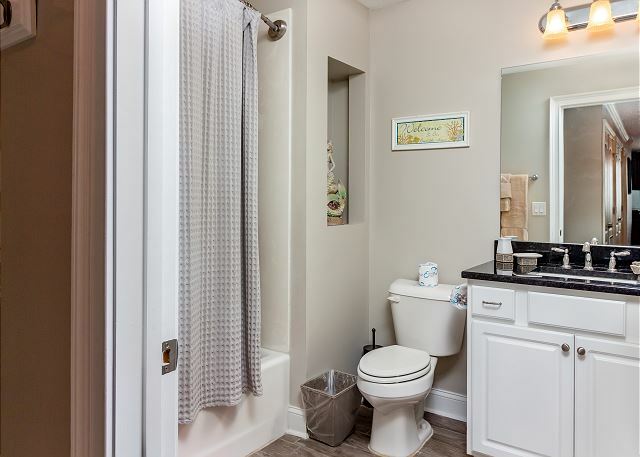 The tile was a little cold for the week long stay, but we enjoyed being able to bring our small pet and although he is well potty trained, the tile floors would have made any clean up easyThe balcony off the master bedroom could use a couple of .chairs outside.